When a divorce takes place between husband and wife and children are involved, the subject of child support can be a hot topic of debate. Child support is monetary assistance that one parent will pay the other when the parents are no longer living together. The child support is to be used to take care of the children’s needs. During a divorce filing, child support is discussed concerning who will pay, how much will be paid, etc. Child support should be used to help pay for housing, health insurance, medical cost, child care, education, food, and clothing. Under Massachusetts state laws, each parent must provide support for the children resulting from the marriage. This applies whether the parents have never been married, are married, separated or divorced. If the child will live with you the majority of the time, then you are considered the custodial parent. If the child does not live with you the majority of the time, you are considered the non-custodial parent. 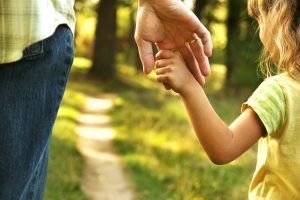 It is customary that the non-custodial parent pays support to the custodial parent with the money to be used for the child’s needs. It is also customary that the non-custodial parent be the one who provides health insurance coverage for the child. The coverage of health insurance is only added to the order for child support if the cost of the insurance is reasonable. Children who are using public assistance programs such as TAFDC or welfare will see the child support collected by the state. $50 of the child support will be sent to the other parent and the rest will be used to pay for public assistance that the child receives. A mediator can be used to help come to an agreement for child support, but you may find that you need an attorney in the future due to nonpayment of child support. If child support is not paid as it should be by the non-custodial parent, then a Complaint for Contempt can be filed. This filing will create a legal case, asking the court to force the individual to obey the court order and pay what is owed. The individual would be held in contempt of court and the court can issue a summons that will require the person that is allegedly in violation to come to court and show why they should not be held in contempt. The court can then force the individual to obey the order by having them pay the amount that has been unpaid, participate in a court-monitored job search or be put in jail due to lack of payment. It is in your best interest to consult with a divorce attorney in Massachusetts to assist with the divorce process and who is also experienced with child support & custody disputes. For quality child support assistance during a divorce or after a divorce has been finalized, contact the Law Office of Rosanne Klovee LLC. Attorney Klovee concentrates her practice solely in family law and is a trained family law mediator. She can assist you with working out a child support agreement as well as mediate if needed.